Baked enamel finish that will not fade. Cordless lift and tilt controls. Both raise and tilt without cords! Contoured metal headrail. No valance needed. 8 gauge "Spring Tempered" Aluminum Slats. 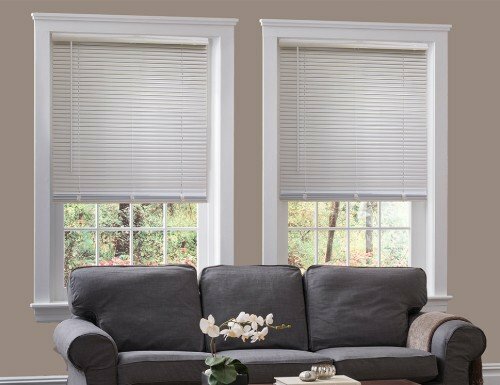 Usually when people think of 1 inch blinds they think of aluminum mini blinds. 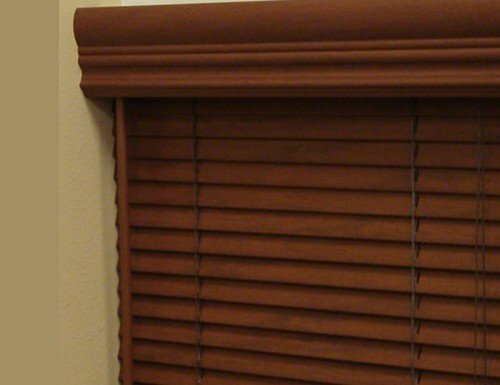 However, Blinds Chalet offers a 1 inch faux wood blind and several 1 inch wood blinds. Why would someone choose a 1 inch blind? This question is posed to their design consultants all the time. 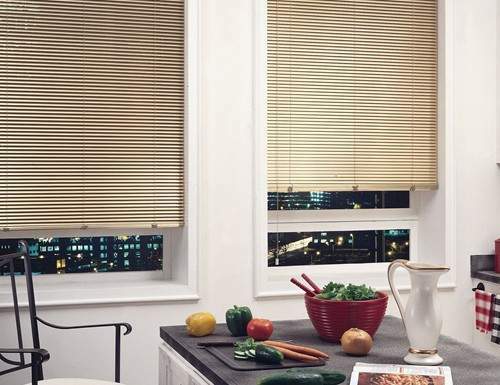 There are a couple of reasons why these blinds are useful. 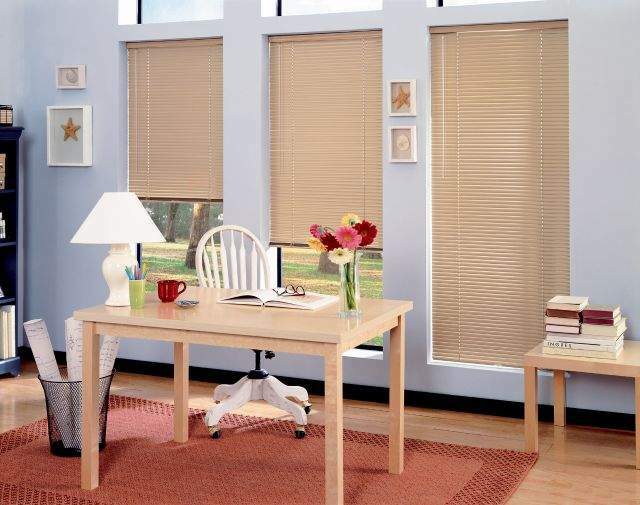 1 blinds are great for french doors and shallow windows. They are also great for side lights. 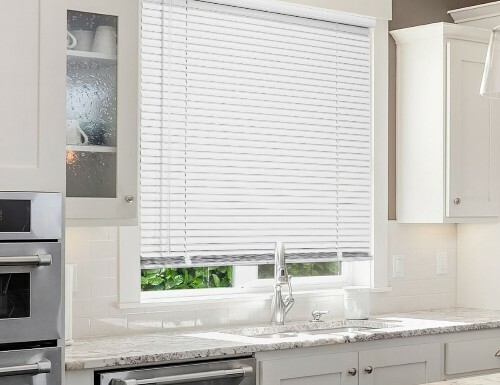 1 inch blinds are also great for small windows in bathrooms and laundry rooms. 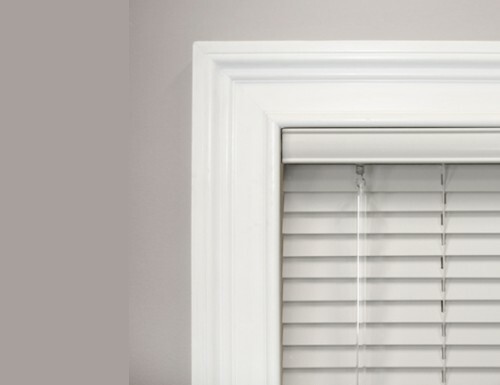 Putting a 2 inch or 2 1/2 inch blind in a small window looks awkward and over bearing. 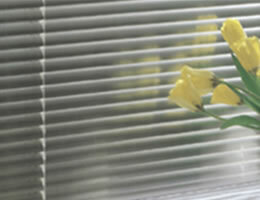 All of the 1 inch blinds offered by Blinds Chalet are custom made to fit your window or door. They are also backed by our limited lifetime warranty. 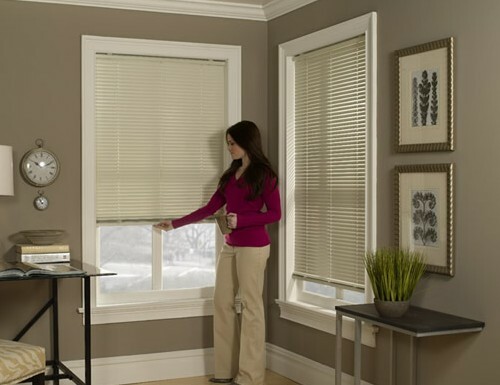 Feel free to call us today at 888-633-7840 to order your 1 inch blinds today. 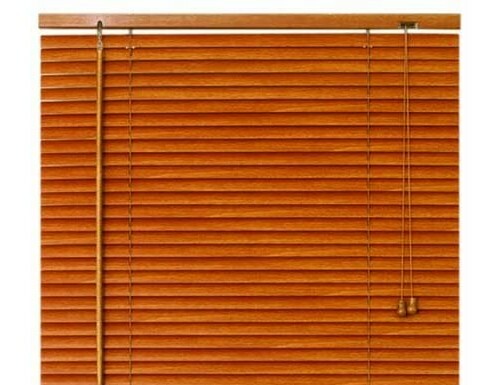 Traditional venetian blinds come in various sizes including 2" blinds, 2 1/2" blinds and 1" blinds. This size refers to the width of the slat used on the window blinds. 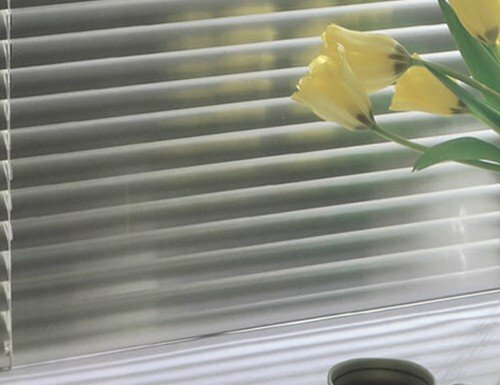 Smaller slats are better for smaller windows or windows with a shallow window frame depth or on french doors. 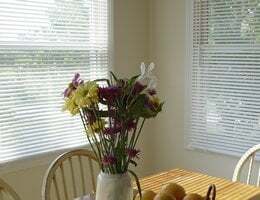 Larger slat blinds are less busy and are typical on larger windows. 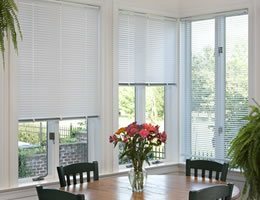 Choose the slat size that best fits your windows as well as your decor.